There’s a new update for Red Dead Online that went live today, and it changes a lot of the progressions stuff. More importantly, it adds a new showdown mode called Plunder, and three new cosmetic items – the Owanjila hat, the porter jacket and the concho pants. 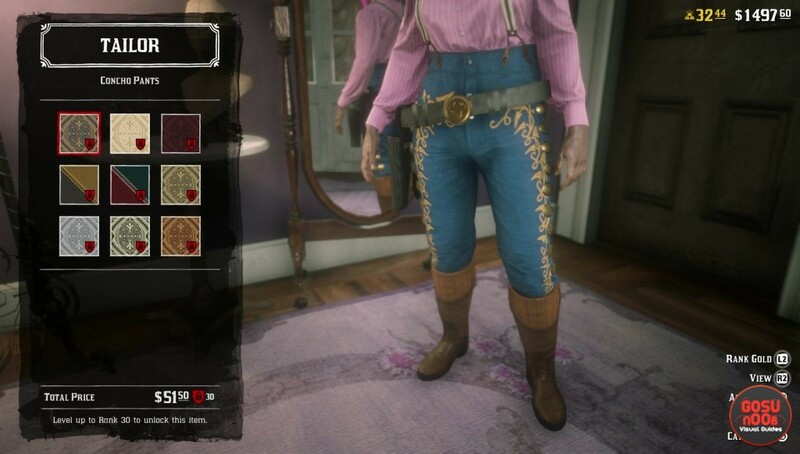 They’re all available from the tailor, and it seems they’re only going to be available for a limited time, so you better grab them as soon as possible. The new showdown mode is called Plunder, and it’s all about two teams stealing stuff from one another. There’s a central location from which they can grab supplies, and the one with the most supplies when the round ends wins. However, you can also steal the supplies from the opposing team, which increases your score and lowers theirs. You’re easier to spot when you’re carrying them, so it’ll require some teamwork, as you’ll need protection. The Owanjila hat looks like a regular cowboy hat, except it’s made of leather – crocodile skin, to be exact. You can get it for $120, and there seem to be no rank restrictions on it. The concho pants have threaded patterns along the sides, as well as metal buckles. They cost $52, and you need to be at least rank 30 to unlock them. The porter jacket is a coat with wide lapels, made either from stripped fabric or leather, with fur on the inside. The devs at Rockstar have also decided to lower the rank requirements for a bunch of items for the next week. Holsters, boots, gloves and coats with rank 40 will be available without a rank requirement, while other stuff will have theirs lowered. Several fancy horses now need rank 40, while a handful of explosive weapons are at rank 60. Make sure you check them out.